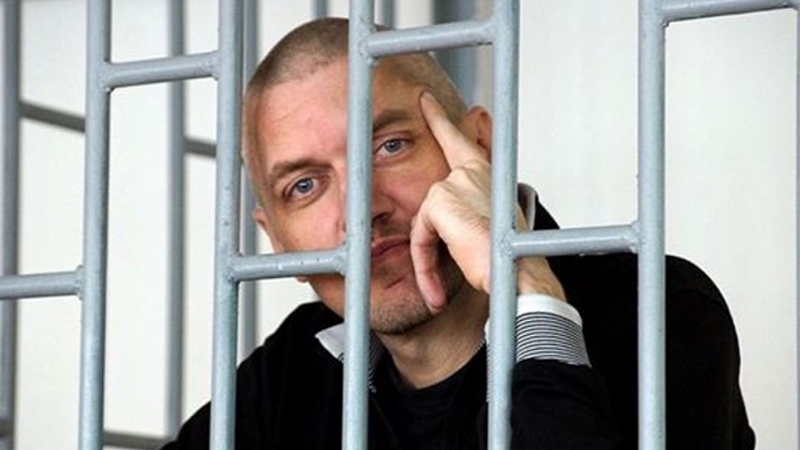 The state of health of the Ukrainian Stanislav Klykh, illegally sentenced in Russia to the 20 years of the colony of strict regime, has deteriorated significantly, the First Deputy Chairman of the Verkhovna Rada of Ukraine Irina Gerashchenko told reporters today, May 15. “Recently I received a letter from Stanislav Klykh’s lawyer, who managed to visit him, and told about very terrible things: his health has significantly worsened. Stanislav has severe health problems, and he is afraid to get to a psychiatric hospital once again," she said. Previously, Russia refused to transfer to Ukraine the illegally convicted Ukrainian citizens Stanislav Klykh, Nikolay Karpyuk and Oleksiy Chirniy, illegally accused of organizing terrorist attacks in the Crimea. May 26, 2016 the Supreme Court of Chechnya sentenced Klykh to 20 years in prison. Special services seized him in the Russian city of Orel, where Klyh was lured by a girl, who made him "confess" that he allegedly fought on the side of insurgents in Chechnya and saw Arseniy Yatsenyuk there. Klykh himself denies all charges, and claims that he has never been in Chechnya. One of the accused in the case of the so-called "terrorists of the Sentsov group" Gennady Afanasyev said that the Ukrainian political prisoner Stanislav Klykh was tortured in Chechnya.